Although your health is the most important thing, protecting your legal rights can make all the difference between an accident being financially and mentally devastating or just a bump in the road. If you’ve been injured in an accident, through no fault of your own, you should seek legal counsel. Whether or not your claim ends up being valid, having representation no matter what your situation, is vital to your case. When you hire a personal injury attorney, you won’t have to rely solely on an insurance company to make your claim decisions for you. You’ll have someone in your corner. An attorney will not only know the law (which the insurance companies won’t discuss with you), but how to make it work for you and your situation. You won’t be just an assigned file number, you will have someone you can always speak to and who can protect you and your case. 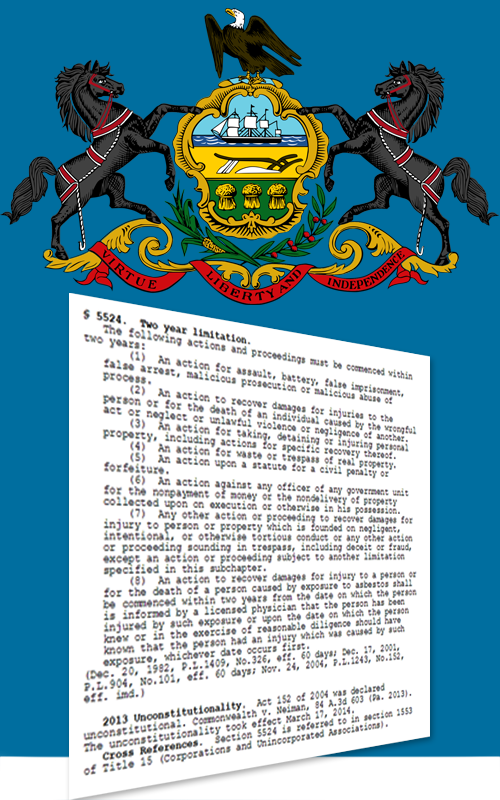 If you have looked at Pennsylvania’s statutes or have read civil case law, you realize how complicated it can all be. An attorney, who specializes in personal injury law, not only has years of specialized education about the law, but also experience with practicing the law. There is no substitute for experience and success when it comes to you and your future. By hiring an experienced professional to worry about the burden of dealing with insurance companies, you not only gain piece of mind, you gain the knowledge of how to deal with insurance companies so that you don’t have to. Insurance companies have such a negative reputation among consumers because they are only interested in protecting their interests and not the consumer. They try to negotiate the smallest settlement possible and get the case closed. If a lawyer doesn’t represent you, the insurance company will most likely do their best to take advantage of you. You might be able to recall details from you accident, and hopefully you wrote it down. However, this usually isn’t sufficient enough to prove liability of the person or persons who caused you harm. You must prove liability, or responsibility of the defendant who caused your accident. A qualified attorney knows how to gather the necessary evidence, find the right witnesses, perform detailed legal research and much more. All of these things are necessary for your case to be successful. Having an attorney means you have someone in your corner. Someone to explain your options relating to lost wages, medical bills and more. A personal injury case is complex and you need an experienced attorney to help you through the process. You’ll be informed about your options and which ones are the best for you. An attorney can advise you about the laws to follow. Not knowing can be detrimental to you and your case. At Martins Mill Legal Center, we understand the importance of filing a claim that will yield you the best possible outcome you deserve. We have that education topped with experience that is necessary to win the case for you. Call us today to speak to one of our staff and we will explain exactly what we can do for you. 316 Central Avenue Cheltenham, PA 19012.